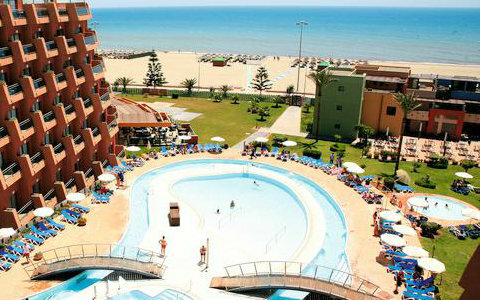 An excellent five stars in Roquetas de Mar, with elegant facilities located in a privileged area right at the seafront. Its Spa makes it a wonderful getaway to relax. The Protur Hotel features the Biomar Spa which makes it ideal for a wellness holiday and enjoy pleasant moments of relaxation and well being. 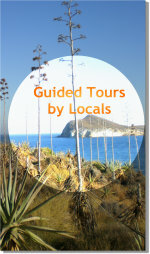 It offers a wide range of treatments, massages and spa programs. 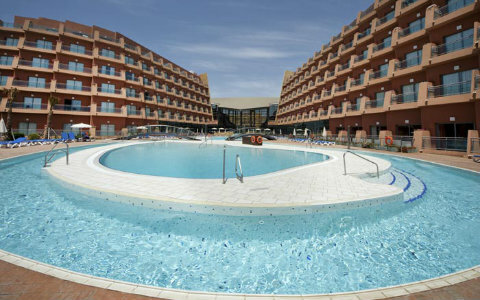 There is also a large outdoor swimming pool for adults and children equipped with deck spa, counter hall, swan necks in addition to a heated pool. 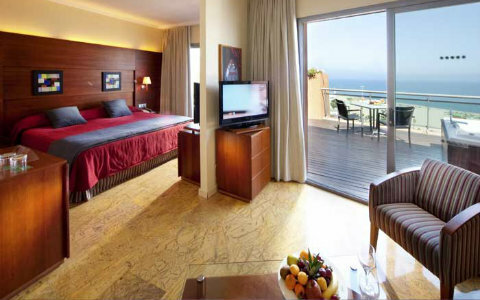 There are double rooms and junior suites available. Some of them invite you to get up every morning with a spectacular ocean view. 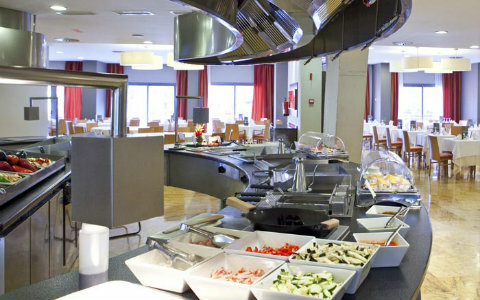 A Buffet restaurant with show cooking where you can enjoy watching the chefs preparing meat and fish. Here you can enjoy a spectacular buffet on a splendid terrace while tasting the varied cuisine of the restaurant overlooking the beach. 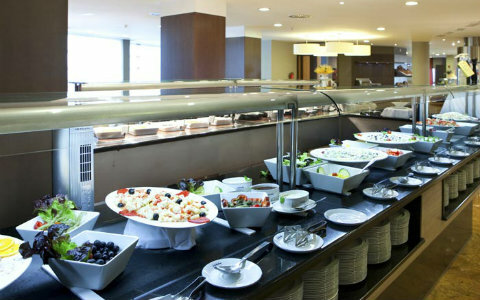 Breakfast is being served between: 8:00 a.m. and - 11.00 a.m.
and Dinner Buffet with Show Cooking: from 7 p.m to 10:30 p.m.
Restaurante "La Sal": This restaurant serves Mediterranean cuisine overlooking the beach. 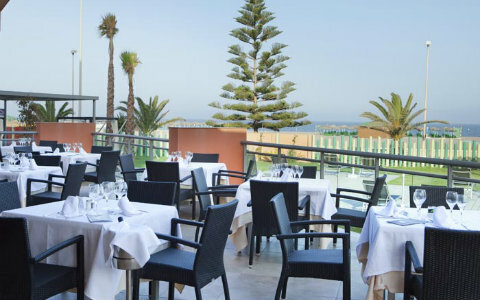 Restaurante La Sal is a themed restaurant to enjoy seafood prepared in a most natural and healthy manner. La Brasserie: Serves grilled dishes with view into the kitchen that invades the aroma of the dishes that are being prepared. This restaurant specializes in everything related to the barbecue. Invites you to enjoy a very healthy way of cooking. Open from 1 p.m. to 3:30 p.m. 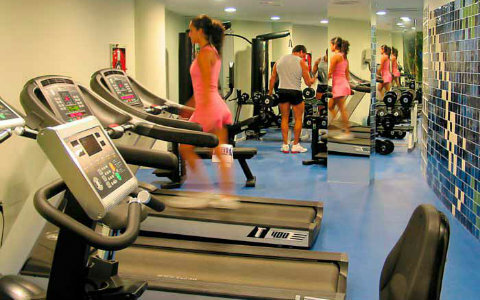 The concept of relaxation and well-being is inextricably linked to Biomar Spa Roquetas. 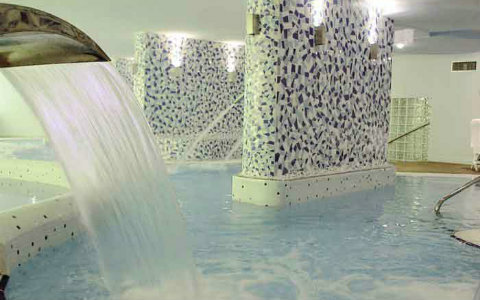 Spa facilities that offer everything you need to get around and feel better, the ease that sweeps you away. 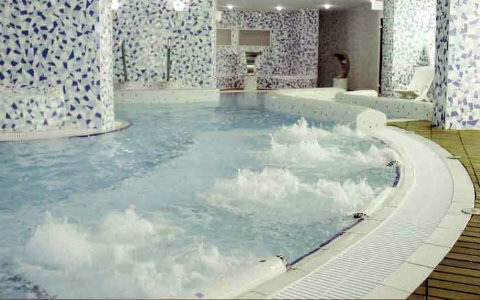 The wonderful hydro-thermal pool allows releasing tension through different stages: Turkish bath with chromo-therapy, cold water pool, aroma shower, back pressure, waterfalls, hydro-massage loungers, jacuzzi, water, air, cervical jets, counter and relaxation area. 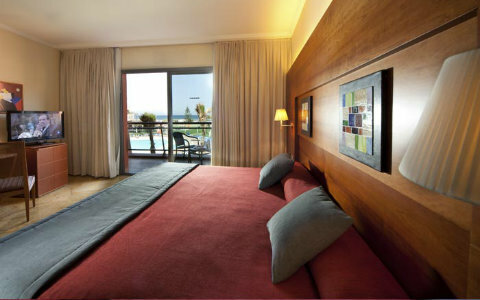 There are many different treatments you may choose and book directly in the Hotel. Prices start from 98 € for a 90' vichy massage, including peeling and seaweed wrap.